We met with Reece’s doctors last week to discuss the results of his autopsy. While I appreciated reconnecting with both doctors, I must say, I hope I never have to have a meeting to discuss such a subject matter ever again. It was neither overly emotional nor surprising. Still, they verbalized things that we knew all along but no one ever really outright stated. It’s not that the staff wasn’t truthful with us. But when you are walking that road, you can’t just state certain things in such an emotionally-charged environment. Additionally, no one really knows for certain what is going on at the time. It is a very confusing and complex process; Reece’s was more complex than most. Without going into all the details that the autopsy revealed, I want to mention two things. First, Reece was 100% donor and one cord did, in fact, win out in his bone marrow. I guess it doesn’t really matter to me, though. He isn’t here with us, so to me, I bring it up to tie up the loose ends that we discussed throughout this whole process. From a blood-exchange standpoint, the transplant worked. But honestly, it just feels like a cheap consolation prize at this point. Second, Reece’s primary physician told us that he had the worst case of skin GVHD that she has seen yet in her practice. Granted, she is one of the younger doctors on staff, but still, it is pretty rare for kids to have GVHD this severe. It’s much more common for adults going through transplant. Kids’ bodies are so much more resilient. So, we’ve been chewing on that conversation over the weekend. Somewhere in the archives of this blog I mentioned how I believed Reece’s story to be about enduring much as a young child. I was right. But that is only part of his story. Where I struggle today is not having the opportunity to have discussed what happened with Reece himself. In my mind I envisioned that there would come a day where he and I could actually discuss what happened. I could explain why we made certain decisions and why, as far as what we understood, he had to go through BMT. I know he doesn’t need me to have that conversation with him now, because he knows why it happened, why it had to happen the way it did, and how it ultimately will be used by God. But I need that discussion. I want to hear in his own words what it was like for him. I want to apologize for so many things that happened. I actually thought that I would feel some sense of closure on the medical side of things after we found out the autopsy results. Without Reece here, it is incomplete. For all the joy-filled feelings I have for him, it still feels like I am sitting here licking the BMT wounds. Truthfully, I’m not sure how to bring that to resolution. It makes no sense to constantly remind myself of what happened. However, I could see that part never going away during my lifetime here. Because even though Reece doesn’t need that conversation with me, I need it with him. There is no such thing as talking yourself into feeling better about this type of situation. As I’ve stated so many times before, it is what it is. I took an unintended couple of weeks off from blogging and it felt very good. No offense or anything. I just didn’t have anything to share. I have an awareness that much rest is needed right now and sometimes that includes not deep diving into feelings or at least not rehashing them through the blog. I have never gone that long between posts and it was odd, but it felt right. Today, it feels right to post. It’s eight months to the day since Reece’s transplant. It’s two months to the day since our wedding anniversary. Scarlett is nearly five months old. But what really stands out for me this weekend is that it was a year ago today that I took Reece into Urgent Care and he had his blood drawn. So it means that it is an anniversary of the beginning of an incredibly stressful road. But, thankfully, time moves forward and the more we encounter these anniversaries, the more we move through them. We are one day closer. The kids and I visited my parents last week as Terry was on the road. It was bittersweet to go there as I often did with Reece when Terry was traveling. I hadn’t been there since Christmas when we were there as a family. He absolutely loved going to visit Grandma and Grandpa and often talked about going there while he was in the hospital. His bed is in my old bedroom and after we arrived I spent a minute just lying on it and remembering him. I actually like seeing it there; he loved his bed and missed it while he was away in the hospital. The first time he visited home in early April, he practically ran to his bed. He couldn’t walk on his own at the time, but when we got to his bedroom he dropped our hands and moved as quickly as he could to get up onto it, nearly falling as he crossed the room. When we helped him onto his bed, he just sat on it and grinned and stared at it. It was as if he had never in his life been in a bed before. I know he likes that it is at my parents’ house now. I also have a feeling the girls will like sleeping in it when they are old enough. If they don’t sleep in it, I will. We always said that Reece had the most comfortable bed in our house. It makes me smile just thinking about him all cozied up in it. We had a half birthday party for Britta today. Her birthday was two days after Reece’s pulmonary hemorrhage in March. As Reece was in the PICU, we didn’t see her for the two weeks surrounding her birthday–didn’t ever get her a gift, sing to her, or celebrate–nothing. It seemed appropriate, now that the dust has settled a bit, to celebrate her turning two. Plus, she loves to talk about birthdays, so we figured this was as good a time as any to have a party. Over the last couple of weeks I have had several people reach out from various places and times in my life to share unique things they experienced during the loss of a loved one. In their sharing I am learning how important it is to safely discuss things and how individualized grief is. I am grateful that it somehow feels safe to share some level of detail on this blog. And I’m grateful that people have felt safe in sharing their own personal feelings with me either regarding Reece and his life or in regard to their own loved one that has passed away. Lastly, I talked to Reece’s primary BMT physician about the autopsy taking so long. We still haven’t received the full results. When we do, we will go to the U of MN to discuss them in a fair amount of detail. I asked her to call me last week (we have been emailing otherwise) to reassure me that nothing was awry with the results. She assured me that she believed it was a matter of getting the full write-up, but not because of some strange findings. And why, you may be asking yourself, does it matter at this point? The results are the results. Well, it means a great deal to me to know that things were handled appropriately and with the utmost integrity. It is a respect thing for me. She received the preliminary results in July, which describes what they found visually, but it does not offer the full detail from the tests they ran. She did share with me that the lungs were quite sick and likely the main issue. There were some other things going with various organs as well, but all-in-all everything they saw was consistent with what they believed to be going on at the time. There were no big surprises based on the initial results. 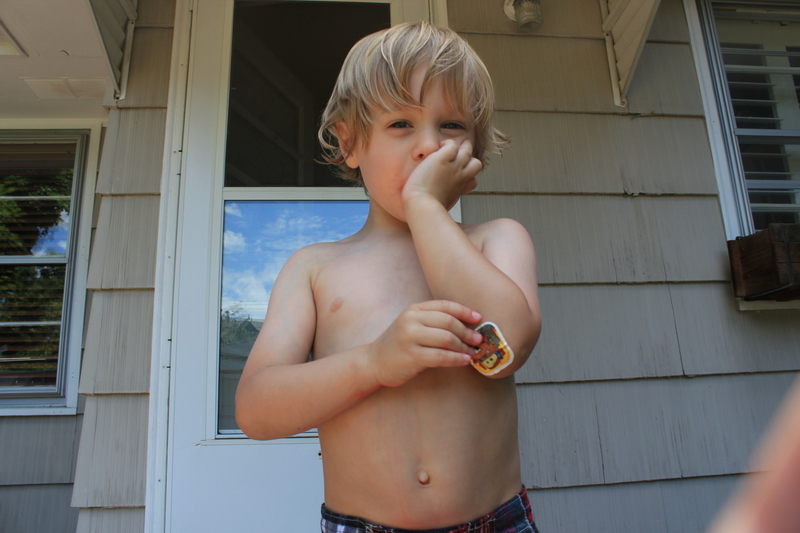 It is painful to talk to someone about your child’s body failing. But I need closure on the medical side of things and I am anxiously awaiting getting the full results and having the discussion. Perhaps after we have that discussion, I will explain what actually happened those last couple of days. Or maybe I will just let it remain in my memory. 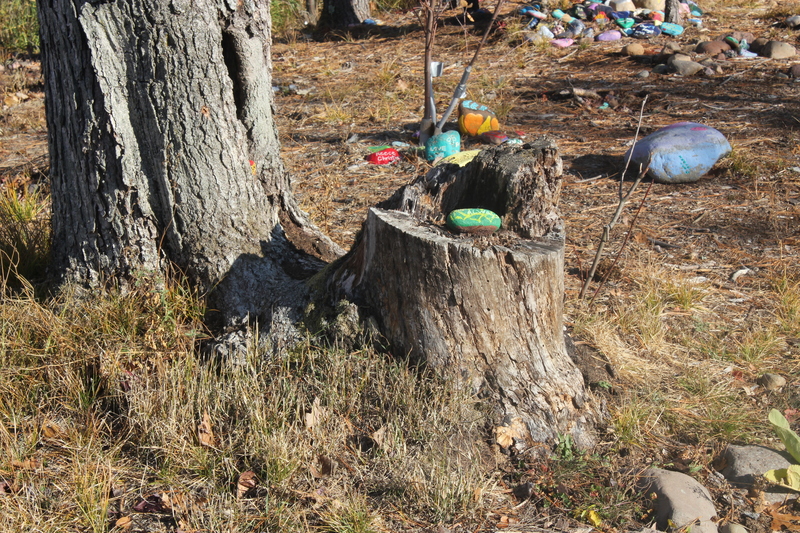 But regardless of what comes out on the blog, I have come to realize and find it important to share that our hardest day of Reece’s life on Earth–his last day–was also his best day on Earth. There’s a lot I don’t understand about what happened, but I fully believe that is true. I had a great day, yesterday, returning and reconnecting at BSF. Admittedly, I was looking forward to BSF starting (which was yesterday), but I was also dreading it. The only reason I was dreading it was that I knew I would be introducing myself and our family, including our circumstances with Reece. It was another day to check off a “first time without Reece” moment, so there are always mixed feelings in doing so. It was the first time going to BSF without him and yet not the first time we were back at Christ Presbyterian since the transplant. Reece’s private funeral service was in the CPC chapel. CPC graciously allowed us to do it there and it was the perfect place for it; he spent a lot of time praising the Lord in that chapel. On BSF mornings, we usually entered CPC through the chapel door because it has a handicapped button that automatically opens the door and a ramp that follows beyond the doorway–Reece loves ramps! So we would maneuver through the parking lot with me gripping onto Reece’s hand so he wouldn’t run off and get hit by a car. But once his feet hit the sidewalk he was gone–down the sidewalk, through the doors, down the ramp, with me yelling, “Reece, wait up!! !” This happened every week. I wouldn’t actually catch a glimpse of that blonde mop of hair until I got down the ramp inside the church, with Britta in tow, and there Reece would be, sitting on a wooden bench, grinning ear to ear, swinging his legs, watching me with glee as I huffed and puffed to make sure he had made it there safely. We now call the chapel entrance at CPC “Reecie’s Door”. Anyway, back to the dreaded introductions. I’m the kind of person that cries because of the emotional concentration or build-up of a situation, so I knew that I would not be able to introduce myself without shedding tears, simply due to the circumstance. There is nothing wrong with crying, but it annoys me when my own crying prevents me from saying what I need to say, or doesn’t accurately reflect what I am feeling. (Case in point, when I am really mad, I cry.) During group intros, I got to Reece and couldn’t eek out much after saying he passed away. I was able to get in a few sentences in a sort of circle-back-to-me-to-finish way, but I was annoyed with myself. I had several things I wanted to say about our experience and I felt like my crying got in the way and did not accurately reflect the emotions I feel about the situation. Oh, and once I started crying, I did another thing that is one of my biggest pet peeves; I apologized for crying. I try really hard not to do that. It is perfectly okay to cry in front of people and let the room shift in their seats a little bit. I was actually not apologizing for crying, but rather for not being able to say what I wanted to say because of said crying. Oy. After intros, our discussion leader asked what one goal we have for the year. The truth is, I have a couple of hopes for the year. First, after spending many months isolated in the hospital, I want to enjoy learning about God in this type of setting and reconnecting with this group of women. I need to rest and recharge the spiritual batteries. There were so many weeks when I would think about how I absolutely had no option to go to BSF (or any other group or activity, for that matter) and no way to connect in any meaningful way with others. Yesterday, I sat near the back of the sanctuary during lecture, stared out into the group of 500 women, and soaked it all in. Did this really just happen to our family? Wasn’t I just here listening to lecture last week? Nope. Our situation forced us into isolation. And while the Bible lay on the shelf in Reece’s room and provided a comfort for me at certain times, it was clear that the verses and hymns I had committed to memory, the lectures or sermons I had heard and retained, or the snippets of conversations with friends that I could recall served an important purpose and were critical relief for the many, many times we were forced into such dark places and had no time or, frankly, no energy to begin to try to study the Bible. I recognize, now, that the time when I feel like life is just bumping a long at a steady pace is the time (and I now view it as the luxury) to build Biblical knowledge, commit verses to memory, and fuel up with other people so that when life demands living in a solitary place, I am prepared for it. Because I know that while the circumstances may be different, there will be another time where being in the Word isn’t physically or mentally possible, and I want to be prepared. I’m going to try to savor this year as best I can. Second, and this one I didn’t realize until after I left CPC yesterday, I have a lot to learn about praying on behalf of others. I want to get to the end of the year and believe I have made progress in passionately coming before the Lord not only for my family and me, but also for others. It took me 45 minutes to leave yesterday, because I ran into nearly all of Reece’s BSF children’s leaders as I was checking Britta and Scarlett out of childcare. I had several discussions about prayer and stories shared with me about personal prayers for Reece. These stories, combined with the interactions we have had with a few of our dear friends since Reece’s passing made me realize that people were not only praying for Reece and his health–they were emotionally invested in Reece and laying their requests before the Lord on our behalf. It has been eye-opening for me to hear of people and their deep emotions for my son. We absolutely felt covered in prayer in a tangible way. It is hard to describe how prayer can be tangible–you have to experience it for yourself. 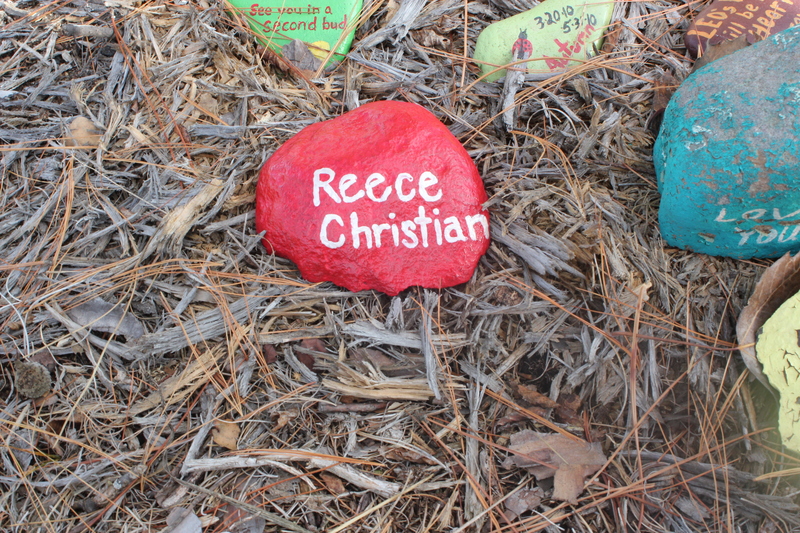 While we felt and continue to feel deep emotions in regard to Reece, it never occurred to me that other people would also have such deep emotions about him. We have had people share stories of anger, sadness, joy, grief; many people have shared with us that they experienced these emotions in their prayers to God. It has been both comforting and also convicting for me to hear this. I’ve made it a point that when I commit to praying for someone, I follow through in doing so. But how many times have I had prayer requests come through each week and I haven’t made it a priority to pray for others? Or I’ve prayed in a sort of obligatory way, but with very little passion or emotion. I’m ashamed to even admit it. I need to get my act together. I’m posting this outright because 1) I am so thankful that people lifted Reece up in prayer and with such love and heartfelt compassion for his life and 2) I need to step up my praying for others. I never realized how impactful and comforting prayer is until we went through this; until we were in a situation where we often had to rely on others to hold us up in prayer. Having someone intercede in prayer on my behalf is a tremendous blessing. I want to bless others in the same way and do so with passion. Third, I’ve found myself in an honest pursuit of knowing about Heaven and the people who Reece spends his time with. I read the book of Revelation a couple of weeks ago. While I have read it before, I still find it confusing. After reading Revelation, I jumped to Genesis and remembered that our BSF study this year is in Genesis. So, I decided to hold up on reading any more on my own for that reason. I have read Genesis before, but never with such a curiosity about Heaven. I spend a lot of time each day thinking about Heaven and what Reece is doing there, so I feel like I need to learn as much as I can about the place. Genesis discusses Creation, The Fall (more on this later), and many people (amongst other things) that we commonly think of as “Bible characters”, but they are actual people who actually live in Heaven–with Reece. For example, I have to believe that Reece thinks it’s pretty cool that he has met Noah and I wonder if the Little People Noah’s Ark play set in our play area even does justice to what the real Noah looks like. But Reece knows what he looks like. I want to learn as much as possible about the Place and who lives there. My child has stuff to do in Heaven and I would love to hear what he has to say at the end of his day at our dinner table. I’d love to hear about the conversations he had, the projects he made, the friends he met. I know he’s busy, but since I can’t hear him tell me about it right now, I’m going to have to settle for learning about the place as best I can through the Bible and other Biblically-based books (I am also reading Randy Alcorn’s “Heaven”). Before Reece died I told several people that if we lost him on Earth, a part of me would die right along with him. Now I’m realizing that I was mistaken. When Reece went to Heaven, he took a piece of me along with him to live there. Part of my mind is constantly in Heaven with him. As I go about my day, there is always something that is pulling my thoughts Heaven-bound. I think of it as a gift, as I would have never have freed up my mind enough and forced myself to think about Eternity with such intensity, without the physical loss of Reece. It took such a great loss on Earth to gain whatever limited eternal thinking I have. As life would have it, much like Reece used to race into BSF with me tagging behind, so he has raced off to Heaven. And I’m still here, trying my hardest to keep up, on my own personal journey to get there and be reunited with him. This is a very obvious statement, but–man–do I ever miss Reece. I’m including a picture for my own benefit, as I miss those bright, twinkling eyes. How in the world do I face the rest of my life here without him? How do I wake up every morning knowing that he will not be here, in our home, with our family, doing his deal? When people ask me how I’m doing I say, “I’m one day closer.” That’s all I’ve got. I received a couple of comments through various sources about the mother I chatted with in my last post and how it is difficult to know what to say to someone in our situation. I realized that I need to clarify a few things about that particular story. My reason for bringing up the story in the first place was to give an example, in an attempt to provide further explanation, of why the social scene–even the surface level social scene–is difficult right now. There is awkwardness in our situation for us, as well as others. It is awkward for our family because we have to figure out a way to discuss Reece on a social level, which takes quite a bit of energy. It takes energy to discuss him and even more energy to internalize and process whatever way the person on the receiving end chooses to react. To fail to mention Reece in regard to our family feels entirely wrong. In the process of grief, there are some days that I do not have the energy to face other persons’ reactions (primarily people who have no association with our family) and I choose to not put myself in those situations as a protective measure. There are some days where I have the energy, any exchange of information goes moderately well, I manage it well, and then days later it comes back to bite me. Therefore, avoiding social situations (depending on what it may be) is absolutely necessary in some situations right now. It is awkward for others, because they don’t know what to say and often times are not expecting that such a heavy topic will come up. The story I shared about this woman was the perfect example of this. It was not a bash on her or anyone else and how they react. She entered into a conversation with no ability to predict the turn it would take. I will admit, there are times when I question the level of empathy or personal awareness that a person might have in how they react, but we generally give people the benefit of the doubt. We have been in the “awkward family circumstances” bucket for nearly a year now; we do understand that people have good intentions and that it isn’t easy to know what to say. Trust me, we don’t expect people to know what to say. That is why, at times, it makes sense to self-select out of certain activities for the time being. That said, we really appreciate it when people we know and who know about our situation ask how we are doing and initiate contact. I know this is a difficult thing to do, because there is an expectation we place on ourselves as humans to know the exact right thing to say. But as each person’s situation is different and each person copes with grief and loss in a different way, the best thing (in my opinion) to do is ask how one is doing and acknowledge that you are at a loss for anything else. It goes a long way and means a great deal to us. We don’t expect that anyone has the perfect words or a way to “fix” things. Just like we think about our girls every day, so we also think about Reece. And just like any other parents, we love discussing our kids and that includes Reece. We talk about him as a family every single day. When Reece is avoided in conversation it feels unnatural. So, while we understand the default is to not say anything to us, to leave us alone to grieve, I would recommend erring on the side of saying something with good intentions versus not saying anything at all. I recommend reaching out versus avoiding us. I can’t express enough how thankful I am for people who are willing to bridge the friendship gap with the understanding that right now, we struggle to meet people at the halfway point. It’s just the way it is right now and it’s not anything personal. We are trying our best just to get through daily living. And, if you want to truly help us out, you can continue to pray for us. We need it. Many thanks.